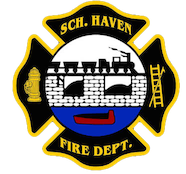 March 26, 2014 -At 20:37 the SHFD RIT (Rapid Intervention Team) was dispatched to 734 Schuylkill Avenue in the City of Pottsville for a working structure fire. Fire personnel arrived on-scene and staged as RIT on side A of the fire building as Pottsville units operated inside of the structure. The SHFD RIT Team remained on scene for approximately 2 hours.